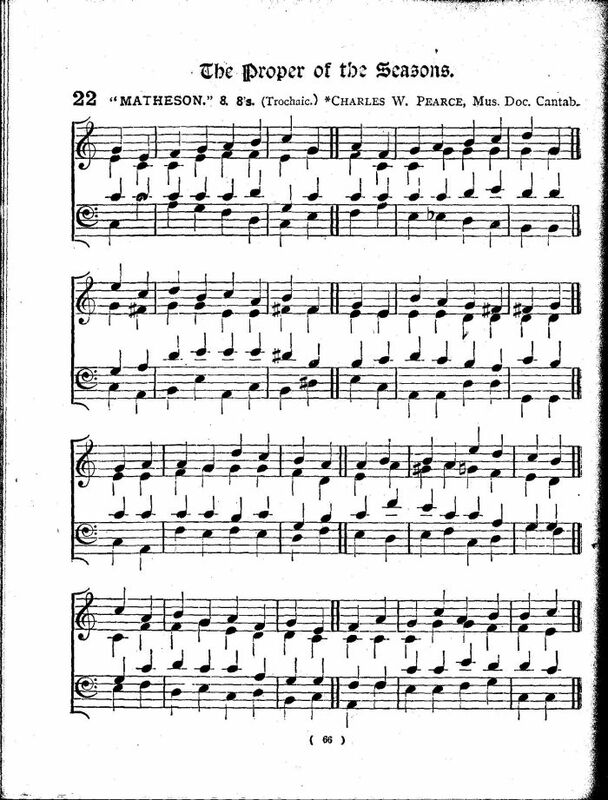 Tune: “Matheson,” Charles W. Pearce, Mus. Doc. Source: Arthur Henry Brown, ed., The Altar Hymnal (London: Griffith, Farrar, Okeden & Welsh, 1885), #22, pages 66-67. Never shall our worship fail Thee. From the skies Thy birth-day story. With their costliest gifts adore Thee. Echoes earth's response of love. “Matheson,” Charles W. Pearce, Mus. Doc.